The Atari classic Breakout may have started the brick-breaking genre, but Taito’s Arkanoid took it to the next level, adding enemies and powerups into the mix. Enter indie developer IronSun Studios, whose IonBallEX draws liberal inspiration from Arkanoid while adding a few unique twists. 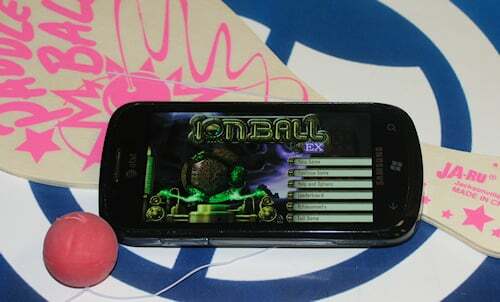 Before we get to the nuts and bolts, a history lesson: IonBallEX (a title which could seriously use one or two spaces) is the Xbox Live sequel to the original IonBall, which debuted as an indie game on Windows Phone (see our review). It then migrated to Xbox 360, also as an indie game. The only Xbox Live brick-breaking competition on Windows Phone is the abysmal 3D Brick Breaker Revolution (review), so IonBallEX is automatically the best game of its type by default. Thankfully it’s actually pretty good. Slide past the break for our full review. Much like Arkanoid, IonBallEX doesn’t have much of a story. People play these games to bust blocks, after all. But the basic idea (which would have benefited from an intro of some sort) is that you’re climbing a Steampunk tower, trying to escape. 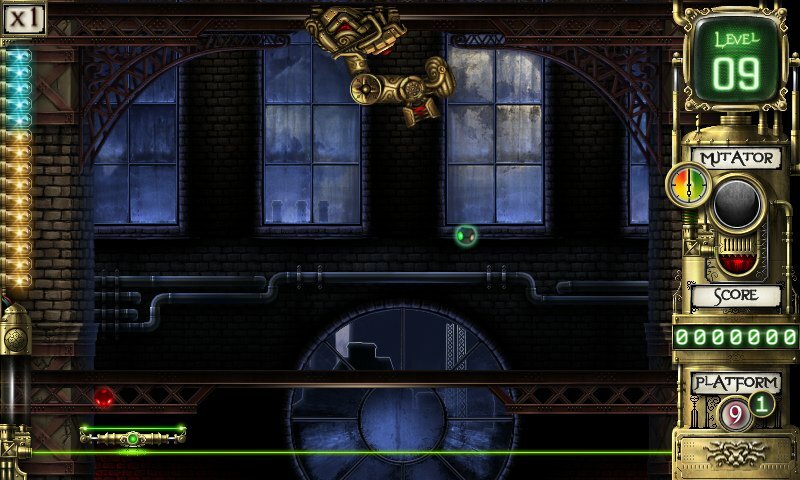 Wikipedia tells us that steampunk “involves a setting where steam power is still widely used—usually the Victorian era Britain—that incorporates elements of either science fiction or fantasy.” What that boils down to within the context of the game is that everything is dark and mechanical, with a few gears here and there. It’s a cool setting. Each of the tower’s 35 floors makes up one level of the game. They all contain a variety of bricks that must be knocked out in order to proceed to the next level. Players accomplish this by using a paddle at the bottom of the screen to knock a ball into any and all obstacles, which is pretty much how I handle all of my problems in real life. If the ball falls off the bottom of the screen or the paddle takes too much damage from enemies, hazards, or poisonous items, the players loses a life. Bricks come in nine different colors here, with each new color requiring one more hit from a non-powered up ball to destroy it. Four kinds of “feature bricks” mix things up a bit. Their effects include: only being destructible from above; emitting player-killing projectiles when hit; disappearing when hit only to reappear moments later; and requiring a trigger hit to be destroyed. If that wasn’t enough, there are also machines that teleport the ball, blow it away, reflect it, or fire it out in different directions. Sometimes I felt like the game overdid things with all the different junk to deal with, but feature blocks and machines certainly add a necessary degree of challenge. Occasionally bricks will drop one of ten different items or “mutators” for players to collect. The good ones can destroy all bricks instantly, add a protective barrier to the bottom of the screen, award an extra life, and more. Multiball would be one of the better powerups except that the game’s widescreen nature makes it too hard to keep more than one ball in play, so the second one tends to drop off-screen pretty quickly. Powerdowns include an item that shrinks the paddle and another that steals a life. The game really should have displayed the name of an item or played a voice sample upon collecting it, as it can take a while to learn what everything does. 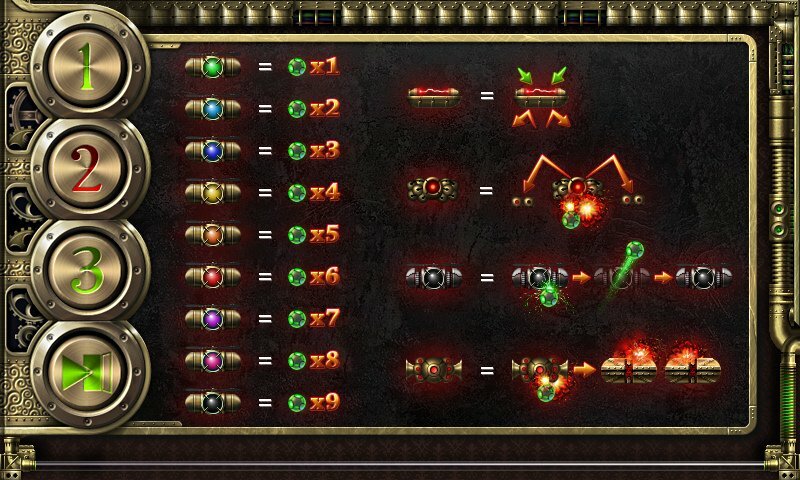 Yes, the textless help screen illustrates each item’s effect, but that’s not much help during gameplay. IonBallEX’s upgrade system is likely its best feature. Clearing each level earns a little experience, with more points awarded for not dying. These points can be applied to numerous permanent upgrades, increasing the size of the paddle, damage done to bricks, powerup duration, and more. The only one I didn’t find worthwhile is Force Projection, which allows players to influence the direction of the ball after it has left the platform. Managing the position of the paddle doesn’t leave much room for micromanaging the ball’s direction after hitting it. At any rate, players get to keep all of their upgrades when starting a new game, making subsequent playthroughs easier and more fun. EX offers two control methods: Slide (default) and Tilt. Tilting might sound okay in theory, but in practice it’s too slow to play the game properly. Sliding allows players to move the paddle by either placing a finger on the paddle or beside it, then sliding left or right as necessary. The game controls well this way, though occasionally the paddle didn’t keep up with my finger, as you may notice in the accompanying video review below. IonBallEX’s visuals don’t bring anything fancy to the table, but its 2D art style is unique and effective. I most enjoyed the lush nighttime landscape that’s visible as a separate parallax layer beyond the tower windows. Each floor of the tower looks the same though; the game needs more visual variety between floors. Outside of the game, the title screen features a large rotating ball beside a bunch of slightly-too-tiny options. Increasing the hotboxes on the options and letting players change the ball’s rotation by touching it would have spiced the whole thing up. The original IonBall utilized ambient audio instead of music. EX has three tunes: title screen, gameplay, and boss music. The gameplay track starts out kind of catchy at first, but soon becomes too repetitive to carry the whole game along. Perhaps alternating with the old ambient noise for certain floors would have helped. IronSun came up with a good variety of Achievements for its first Xbox Live outing. Many of them are tied to purchasing certain upgrades or collecting different combinations of mutators during gameplay. The hardest Achievement, “Record Breaker,” is awarded for earning over a million points over the course of the game. Players lose points for every death and continue, wherein lies the challenge. Should the task give you trouble, Yip Yoo’s Achievement guide lists a couple of different exploits that make high scores a cinch. But you know, if Abraham Lincoln was alive, he’d want you to earn it legitimately. IonBallEX’s experience system and retro-futuristic setting help it stand out from other brick breakers. The only thing reason I can’t score the game higher is its lack of replay value. With only 35 levels and no additional gameplay modes, there isn’t much incentive to play through more than a couple of times. Not every game needs to last forever though. With its low price and easy Achievements, IonBallEX is a great choice for some good quick fun. I hope to see more Xbox Live titles from IronSun Studios in the future. IonBallEX costs $.99 and there is a free trial. Pick it up here on the Marketplace.